This Sunday, Catherine Scott, Mike Boers, Tanya Stemberger and I went out to Lynn Canyon, to take in some of the fungal delights of mid-fall. 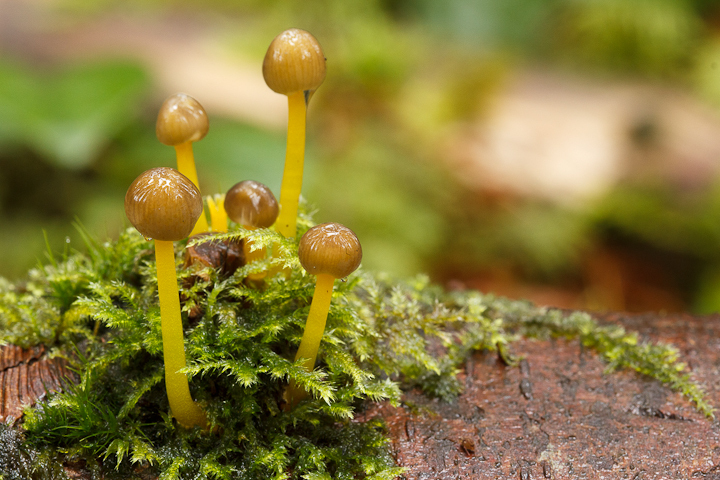 I used to be a much more avid mushroomer than I have been recently, so it was great to get out and exercise my rusty ID skills.Here are some of the things we saw! 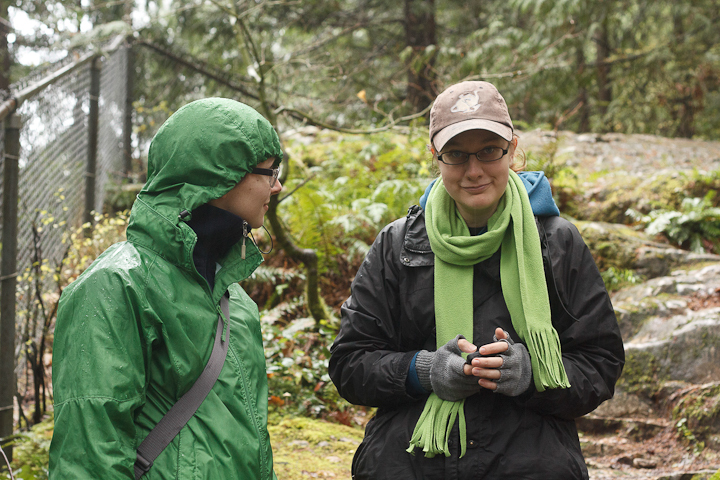 Catherine looks amazed that Tanya is going to live-tweet our fungal expedition. 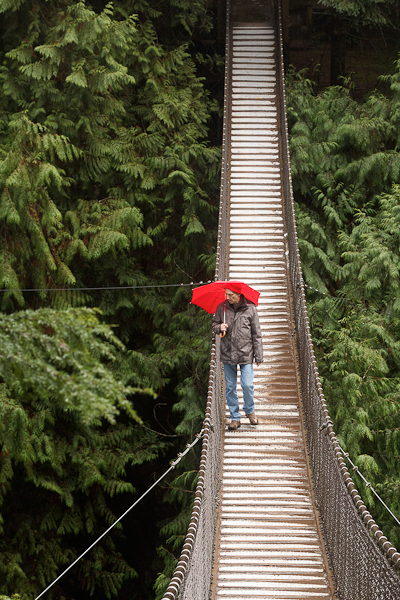 This is the cheaper version of the Capilano suspension bridge. 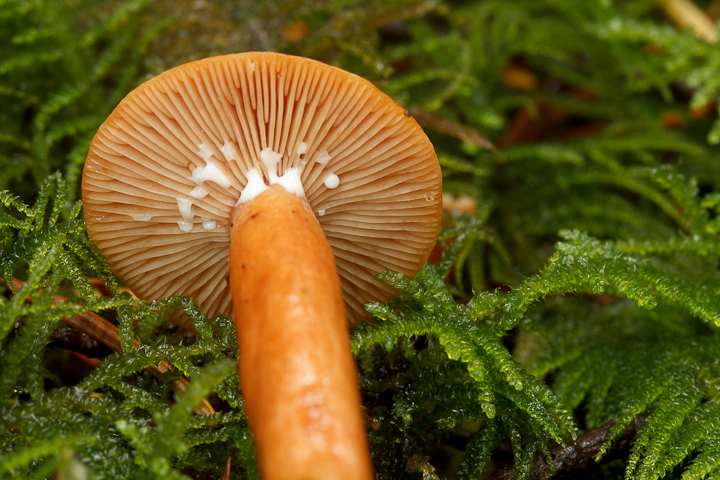 Here is a very pretty Lactarius. 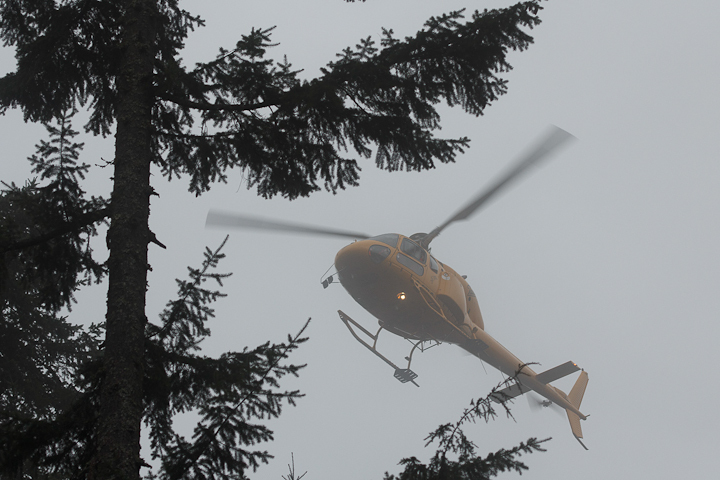 Here is a chopper employed by North Shore Search and Rescue, combing the river for a missing hiker. 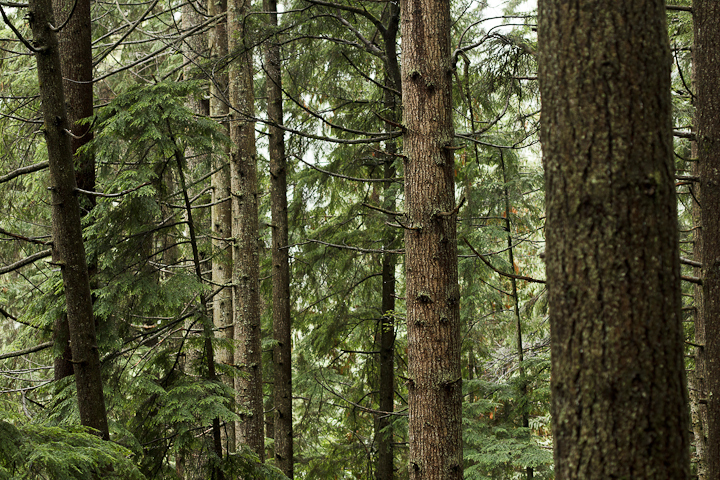 With wilderness at your doorstep, as in Vancouver, these types of things happen frequently. 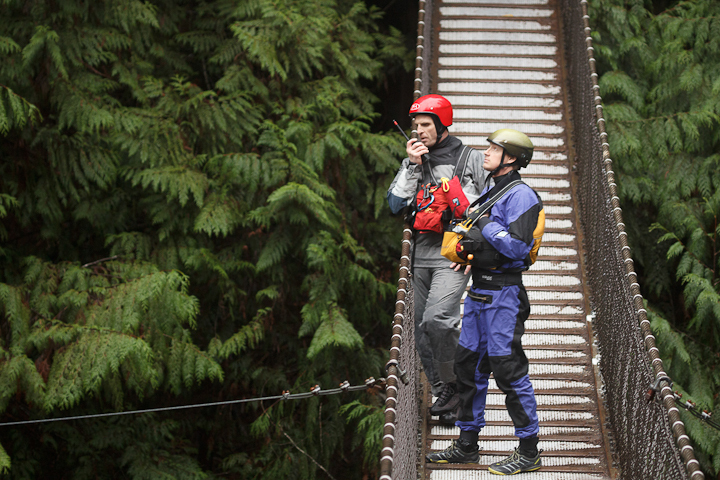 Ground-based searchers examine the river. Mike gets overtaken by a man with a musclebound dog who pulled him up the slope. This is really the best way to hike! Something so calming about looking at these trees on a fall day. 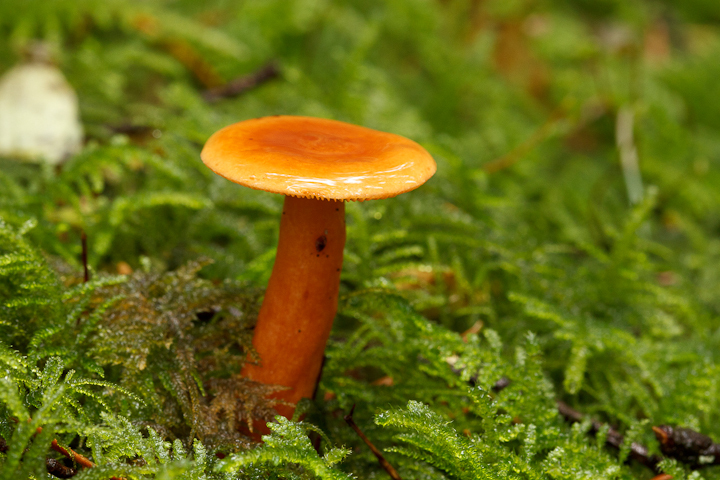 A luridly orange patch of witch’s butter on a fallen log. 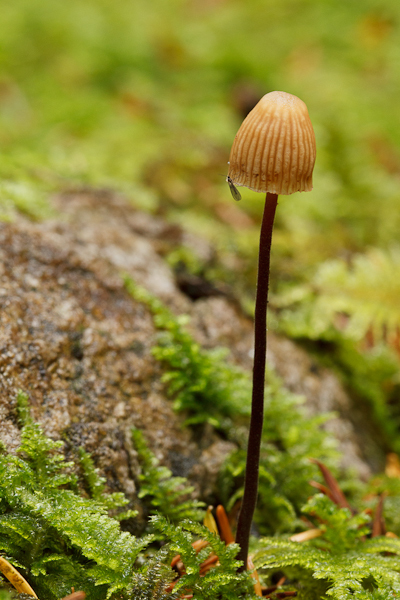 Here is a fungus gnat on what might be a Mycena. 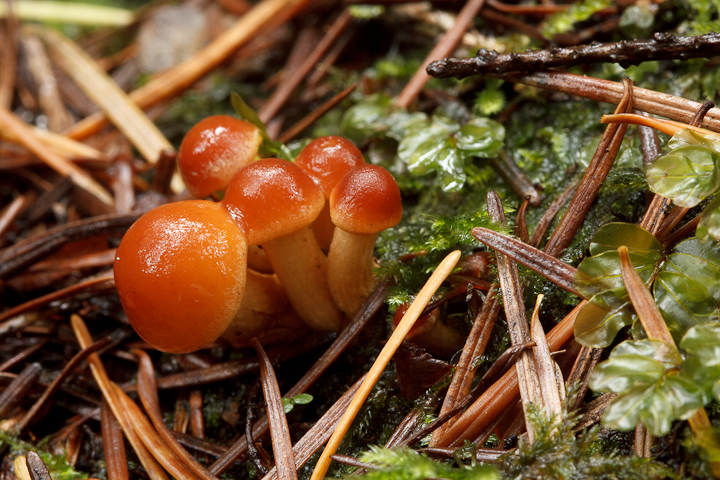 Newly growing caps of what may be Naematoloma. An Elfin Saddle! 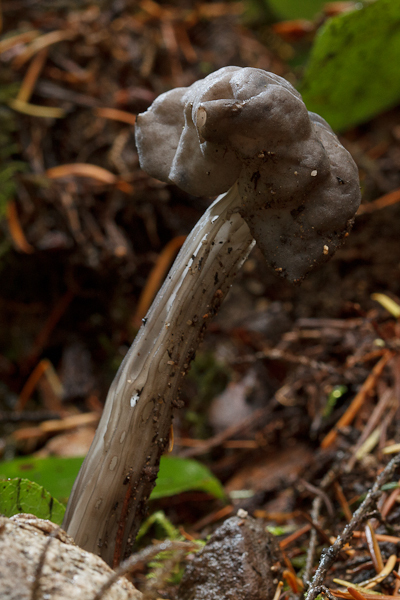 This is Helvella lacunosa (or something similar), a species I used to pick and eat quite a bit. 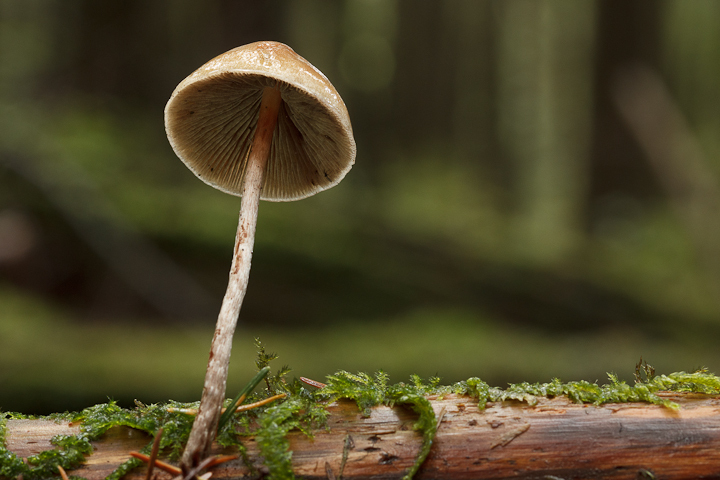 Mushrooms are challenging subjects…I hope to get a chance to do more serious photography of them one day. 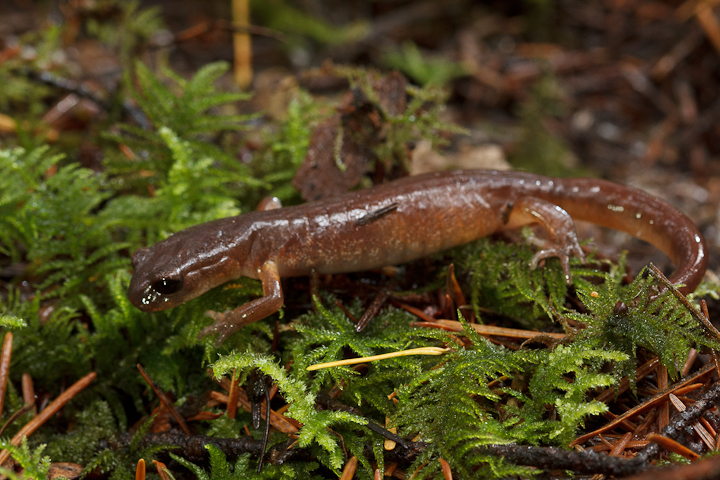 Since Tanya had yet to see a salamander, I uncovered this Ensatina for her to examine. As expected, this was a big hit. Ensatinas are probably the cutest of BC amphibians. 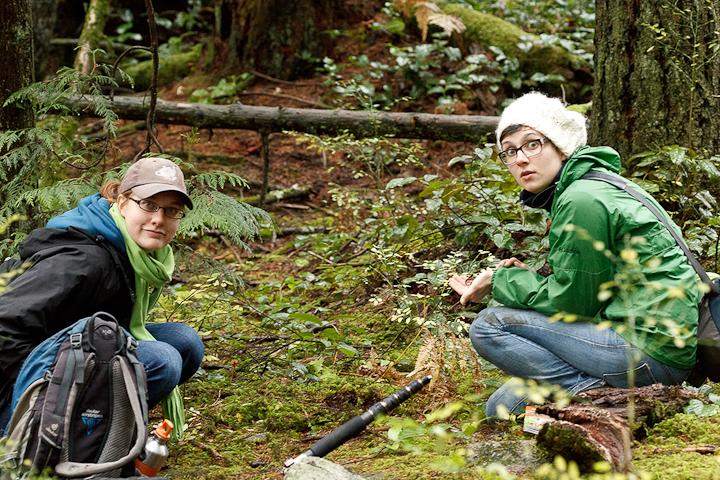 Catherine and Tanya examining the salamander, Catherine looks spooked, but this is normal (and has nothing to do with the Ensatina). Nice pix, Sean! 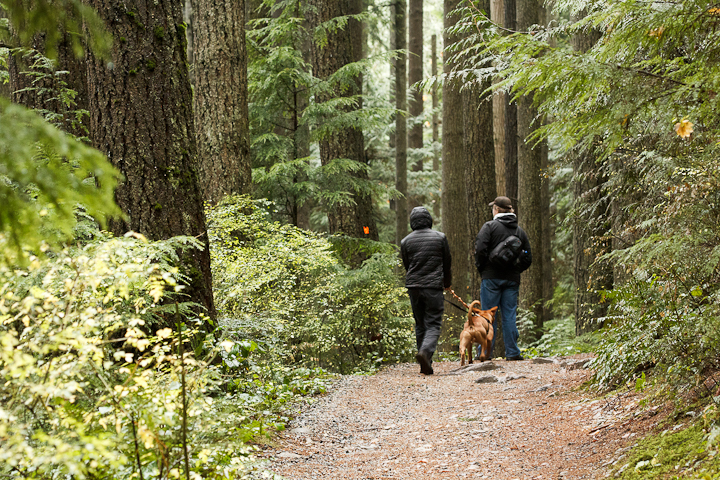 I think there’d be a lot less searching for hikers if a little common sense was used by wanna-be hikers. People might still lose their bearings, have unexpected things happen, etc but too many skip merrily into the wilds with no idea what could happen. Once I had a mushroom identification thin paperback that was put out by the provincial government (back in the late 60s when fantastic free books and booklets were made on every sort of subject). I lost it over the years with moving frequently. But it was SO good! Lots of time to be certain of an ID, spore prints are needed. 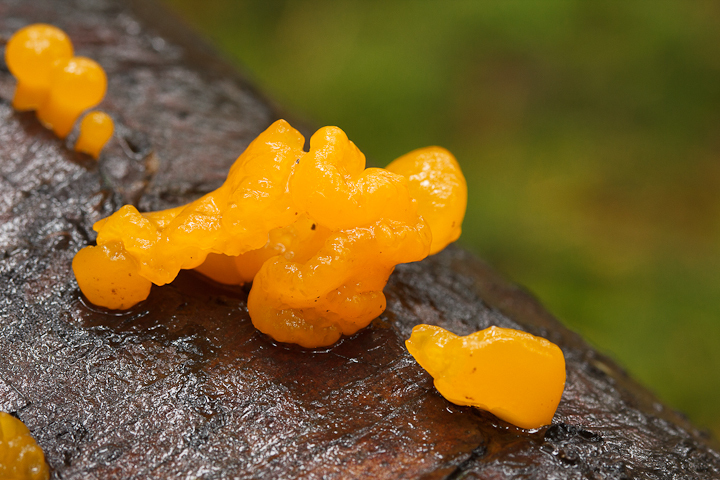 Great you saw some witches’ butter!! I’ve yet to see any myself. I had no idea Helvella lacunosa was edible – quite surprised me. It grows in a particular area in our yard and I’ve seen it there off and on for ages. Oh well, selling and moving so I’ll never get a chance to try it. Got a soft spot for salamanders and they are cute. But don’t you think our little Pacific tree frog would at least tie for the cutest amphibian? 🙂 I love how such a tiny frog can have so deep and loud a call. When one has made a temporary home in one of my planters and starts ribbitting, it makes me smile and feel more connected with nature. Regarding the Helvella, there are some who say it is too close to the Gyromitras to be a safe edible, but I don’t have liver cancer yet! That being said, maybe it is not a great idea to be consuming it. I think Hyla regilla is a great frog, and it is pretty cute!